Michael S. Gazzaniga. ¿Quién manda aquí? El libre albedrío y la ciencia del cerebro. Barcelona: Paidós, 2012, 314 pages. Translated by Marta Pino Moreno. ISBN: 978-84-493-2621-9. 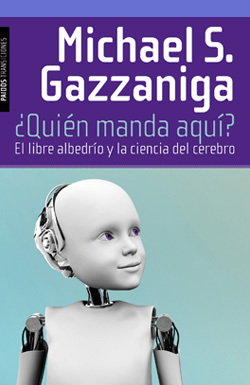 Spanish translation of the original title: Michael S. Gazzaniga. Who's in Charge? : Free Will and the Science of the Brain. New York: HarperCollins, 2012. Published in Spanish by Paidós.